More troops have poured in since the [Sept. 4 2015] attack [on coalition troops]. Saudi Arabia dispatched more elite forces to join the 3,000-strong coalition force already on the ground, while Qatar, hitherto only participating in air operations, has sent 1,000 soldiers. Egypt, which has long warned of the folly of putting boots on the ground given its disastrous intervention in the 1960s, this week sent in 800 men. Sudanese troops are reportedly waiting to be shipped out of Khartoum. Bahrain’s King Hamad bin Isa al-Khalifa said his two sons will join the battle. Quashing the Shia Houthis is nigh on impossible. Gulf officials and media talk bombastically of preparations to take back Sana’a from them and reinstall Abd Rabbo Mansour Hadi as president (the Houthis drove him out of the country in March). But Yemen has long been treacherous territory for foreign invaders, and Gulf armies are relatively inexperienced. Since committing ground troops in August, the coalition has taken control of Aden, the southern port city, and is advancing on Taiz. But it is struggling in Maarib, the gateway to Sana’a, where the extra troops, backed by armoured vehicles and missile launchers, are said to be massing. The fighting will only get harder since the Houthis’ remaining strongholds are in mountainous redoubts. […] a rising generation of young, ambitious Gulf royals appears unwilling to pare back their newfound military adventurism. Related Reading: “Saudi Arabia and the US: More military misfires” — my August 13, 2015 op-ed with Stephan Richter for Al Jazeera English. After years of slowly building chaos, The Houthi force is moving against Aden, the government-in-the-south has fled the country, and — as of tonight — the Royal Saudi Air Force has launched an operation into Yemen under the GCC (or possibly the Arab League) at the request of the fallen government. 10 countries are participating in the operation already: Saudi Arabia, United Arab Emirates, Jordan, Egypt, Pakistan, Qatar, Bahrain, Kuwait, Morocco, and Sudan are all said to be participating, with logistical and intelligence support from the United States. The involvements of Egypt, Pakistan, Morocco, and Sudan are very unexpected and indicate a much wider operation than anticipated. It also strongly suggests that Saudi Arabia was leaning heavily on every government in the Middle East, North Africa, East Africa, and South Asia to whom it has given a lot of money previously. Saudi Arabia is cashing in every favor for a blistering war against the quasi-Shia Houthi rebels in Yemen, unlike with the rather lackadaisical coalition to support the United States against ISIS in Syria. Qatar, which sent no jets at all in the Syria campaign, sent 10 tonight. Bahrain, which only participated minimally on the first day of the Syria raids, also sent 15 jets. Bahrain’s Sunni monarchy also “owes” Saudi Arabia for brutally suppressing their own Shia uprising in 2011 (during the Arab Spring) with GCC shock troops. The UAE and Jordan also sent plenty of bombers over Yemen in the initial hours, in a marked contrast from their wavering in the Syria campaign. This massive undertaking should, in my opinion, also be taken as a clear signal that Saudi Arabia firmly prioritizes the “threat” from Iran and Iranian proxies (which include the Houthis in Yemen but also 100,000 anti-ISIS fighters across Iraq and Hezbollah anti-ISIS units in western Syria) well above the threat from ISIS, despite tough talk on the latter some months ago. Meanwhile, Iran has countless military advisers and trainers on the ground assisting the huge Iraqi campaign to re-take Tikrit from ISIS, has been providing close-air support and bombers against ISIS all over the Iraqi skies, and reportedly may even have 30,000 regular troops fighting in Iraq directly. If I’m looking at the facts and figures, Saudi Arabia and the Arab League in general — the purported American allies — are doing far less to combat ISIS than Iran, even if you buy the theory that Iran’s support for Assad accidentally helped create ISIS in the first place. This war in Yemen against the Houthis, which Saudi Arabia has been stirring up violently for years, seems essentially to be more of an indirect war between Saudi Arabia and Iran. And this doesn’t even begin to touch the actual al Qaeda presence in Yemen. Inherent Resolve: And then there was one? Tuesday night the news broke from U.S. government officials that the United Arab Emirates had quietly withdrawn participation in the U.S.-led air campaign in Syria, back in late December. This suspension of UAE participation stands in stark contrast with their very bold statements about the necessity of entering the war against ISIS in the first place (as well as with their surprising covert bombing run in Libya last year). It particularly contradicts the country’s “bolder stance” that Abu Dhabi Crown Prince Sheikh Mohammed Bin Zayed Al Nahyan has reportedly been trying to project as he acts on behalf of his brother, the president, who had a stroke last year. But the apparent exit of the United Arab Emirates from the coalition could have a greater effect than a mere propaganda blow. It leaves the coalition essentially in tatters as far as the 6-member Syrian campaign was concerned. That coalition, helmed by the United States, also consisted of five Arab states: the UAE, Jordan, Bahrain, Saudi Arabia, and Qatar. Qatar — from the beginning in September 2014 — only participated in an undisclosed “support” role without flying any missions. Bahrain, according to reporting by the Boston Globe in November 2014, dropped out of flights after the first day of action over Syria. Just enough to count as a coalition member, I suppose. Jordan suspended flights after their pilot was captured at the end of December. Now we know the UAE did at about the same time. That leaves only Saudi Arabia still participating (at least as far as we’re aware). Their resolve appears to be far stronger: a suicide attack that left three Saudi border troops dead in early January did not appear to bring a change in course. Nor did the recent death of King Abdullah of Saudi Arabia. 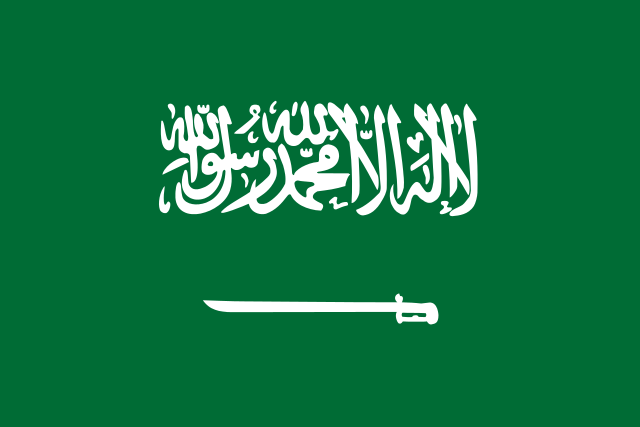 True, the Royal Saudi Air Force is still probably the largest and most plentifully equipped air force of the five countries that joined the United States (or the four that were flying in the September air raids), but the Saudi contribution was already fairly minimal by most accounting. That same Boston Globe report that outed Bahrain’s non-participation found the United States had flown 75% of all missions from September 23, 2014 to mid-November 2014 in Syria and Iraq combined (i.e. even counting the European/Canadian/Australian air campaign participation in Iraq). Plus, with Saudi Arabia being the biggest ideological force and financial accelerant behind the rise of global hardline Sunni extremism in the first place, it’s hardly comforting or useful to have them by our side in this fight against ISIS. In any case, unless any of these dropout partners rejoin the fray — and it’s possible Jordan might do so, now that the hostage has been executed — these Syria bombing runs at the heart of the so-called Islamic State will be shouldered by the United States and trailed by an almost imperceptible coalition of one: Saudi Arabia. The irony of the name “Operation Inherent Resolve” could hardly be more obvious. Topics: Media coverage of Nigeria, comparing Mexico’s cartels to ISIS, reform Islam versus billionaire barons. People: Nate, Bill. People: Bill, Nate. Produced: October 26th, 2014. – Why is Western media reporting on Nigeria so bad? – Is Mexico’s Cartel War a bigger threat than the Syrian Civil War and the spread of ISIS? – The Daily Beast: She Tweeted Against the Mexican Cartels. They Tweeted Her Murder. Folks, let’s talk about how Joe Biden was just forced to apologize for saying a true thing out loud because it was inconvenient for the Turkish government. Speaking at the John F. Kennedy School of Government, Mr. Biden said allies including Turkey, Qatar and the United Arab Emirates had extended unconditional financial and logistical support to Sunni fighters trying to oust the Syrian government of President Bashar al-Assad. “Our allies poured hundreds of millions of dollars and tens of thousands of tons of weapons into anyone who would fight against al-Assad,” he said, including jihadists planning to join the Nusra Front and Al Qaeda. “If Mr. Biden has said such a thing at Harvard, he needs to apologize to us,” Mr. Erdogan told reporters here. Oh, ok, that’s super convincing. Just like Russia trying to claim that all its active duty troops fighting in eastern Ukraine are merely on holiday — like a separatist sabbatical — and can’t possibly be stopped or controlled. Look, I’m probably way more understanding and favorable toward Turkey and the ruling AKP than most people in the US “commentary industry” — who tend to cherry-pick complaints or instinctively bash Turkey’s civilian leaders and non-secular population without mentioning any historical or modern context for certain actions — but I have my limits. Along with the infamous “Article 301” of the Turkish Penal Code — banning insults to the nation or national symbols — and denial of the Armenian genocide, this is just part of a pattern of Turkish leaders demanding that the entire rest of the world (including elected US officials) bend around their weird alternate reality where only pro-Turkish things can be said unless you want to be an enemy of the state. For years, Turkey manipulated its status as a key NATO military power and a friend of Israel to block Washington from doing or saying anything critical of Turkey. That’s deteriorated a bit as Turkey has grown apart from Israel and the protective embrace of the Israel lobby on Capitol Hill, but this episode and the speed of Biden’s apology at the insistence of the senior Turkish leadership prove they’re still somewhat untouchable. Vice President Biden maybe said something impolitic, but it wasn’t false, the issue he cited has been a real problem. And lest you think this is some kind of “Biden problem” or punishment for “Biden being Biden,” let’s just note that President Obama himself is now more than five and a half years into trying to get out of a promise to recognize the Armenian Genocide. 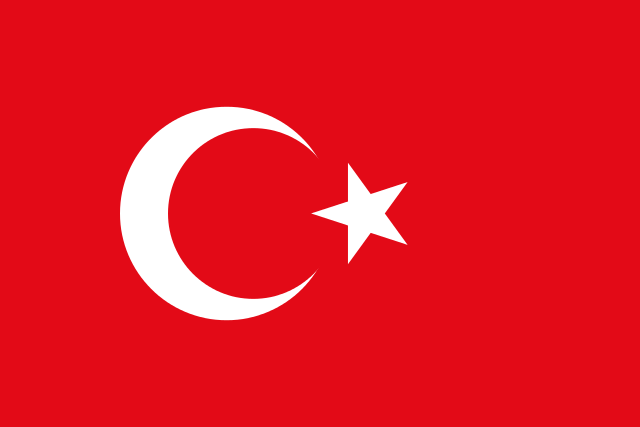 I have a great respect for Turkey, the Turkish people, and its history — and I have consistently defended Turkey from unfair and offensive (racist or anti-Muslim) critiques — but the loud efforts at blindly shielding the country from criticism and mentions of past or present abuses or other policy failings are a serious problem that undermine and constantly form a negative backdrop to anything positive Turkey tries to do as it approaches its 100th anniversary since independence. Update, Oct 5, 2014: On Sunday, Vice President Biden called the leadership in the United Arab Emirates to make a similar apology to the UAE for including them, alongside Turkey and Qatar, in the blanket list of supporters of extremists in Syria. While Turkey was a bit fast and loose with border and arms controls, they did not intentionally support terrorist groups specifically, unlike Qatar. In contrast with both, the United Arab Emirates has been especially active militarily in fighting Islamist fighters in Syria and in Libya, and they claim to have a strong position against terrorist financing (although many private citizens seem to ignore that). Saudi Arabia — which I’m not sure was explicitly mentioned — has not publicly commented on Biden’s remarks. Qatar, which is openly financing and arming Al Qaeda’s Nusra Front in Syria, did not respond. Sunni Islam alone has a handful of diverging schools of thought, further splintered by the separate followings of various popular current scholars. If you click through, I also cite a specific example of a very progressive, high-ranking Muslim leader in Nigeria. Iraqi Prime Minister Haider al-Abadi has told the BBC he “totally” opposes Arab nations joining air strikes against Islamic State in his country. Mr Abadi said he had sent a delegation to Damascus to inform its neighbour of Iraq’s request for the coalition to target IS in Syria, saying it was crucial to stop “transient border terrorism”. In his defense: It’s just generally not a great idea to invite neighbors — especially ones with a tense and sometimes bitter history of rivalry (or even past territorial disputes) — to feel welcome to bomb you. In contrast, it’s probably (somewhat) less objectionable to request air support from halfway around the world. It’s one thing to publicly invite the strongest air power in the world to help you because your own air force is under-equipped and terrible and useless; it’s a very different matter to draw attention to the fact that the surrounding Arab states of Jordan, Saudi Arabia, the UAE, Bahrain, Qatar, and Kuwait (which hasn’t participated so far) all have vastly superior air forces to Iraq’s. And, to top it off, the recent unilateral airstrikes in Libya by the United Arab Emirates, following up on their Arab League authorized operations in 2011, might also have made Abadi cautious about opening that door now and laying out the welcome mat for future meddling in Iraq, as in Libya. At any rate, the more things change, the more things stay the same — and that includes Gulf-area countries trying to play each other off each other constantly to try to gain tiny edges momentarily.